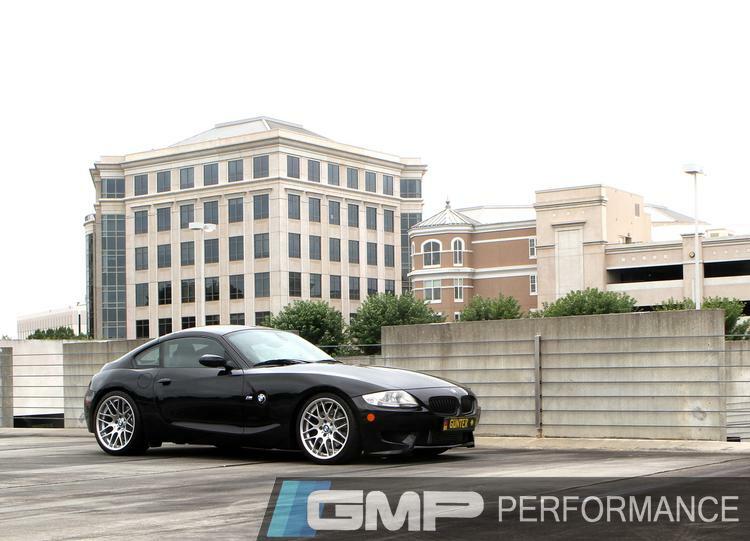 GMP Performance Presents: 2007 BMW Z4 M Coupe! 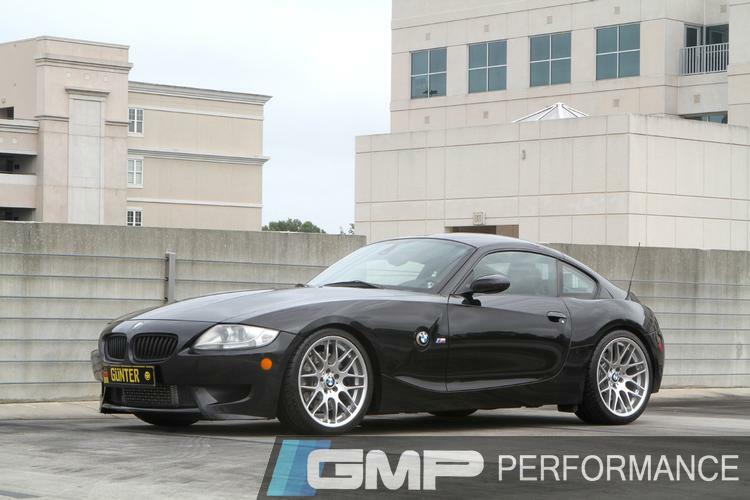 GMP Performance Presents 2007 BMW Z4 M Coupe! The letter M has little significance on its own, but when you pair it with the BMW brand you know you are in for stellar performance. The M line of cars is well respected throughout the world for its excellent performance and top-notch engineering. Despite this, there is always room for improvement. The owner of this Z4M coupe wanted more. We gladly brought this BMW M to the next level with an ESS supercharger and a few other aftermarket treats. 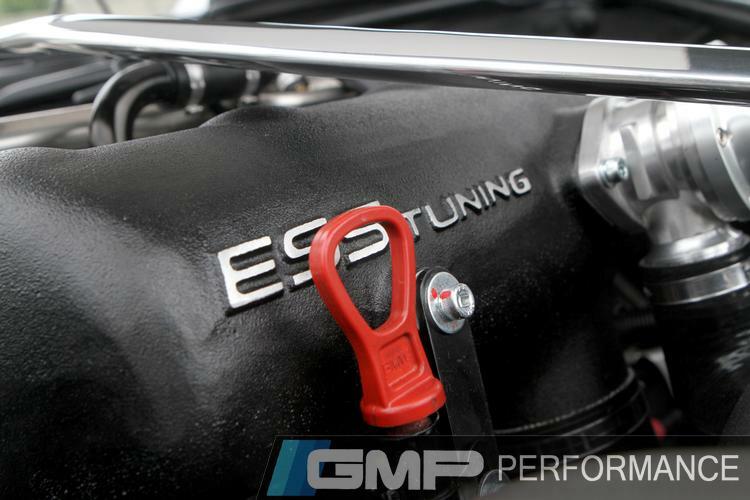 With supercharged power on the to do list, we went to ESS Tuning for a kit to really boost this BMW to new levels. Utilizing a Vortech V3Si supercharger along with a high-capacity front mount intercooler, cast aluminum intake manifold and an ECU upgrade, it covers several of the most important power-producing elements. All this combined and it can bump the Z4 M up to 525 horsepower and 340 foot-pounds of torque, impressive numbers for such a small, zippy car. A comfortable ride is a must no matter how much power is underneath the hood but once you add a tracking element in, what you demand out of your suspension changes. With a Bilstein PSS10 kit, this Z4 would be covered for both, as the shocks in this kit are adjustable and offer the options of comfort or competition. The customer didn't want to go much farther than BMW for this coupe's outward appearance. 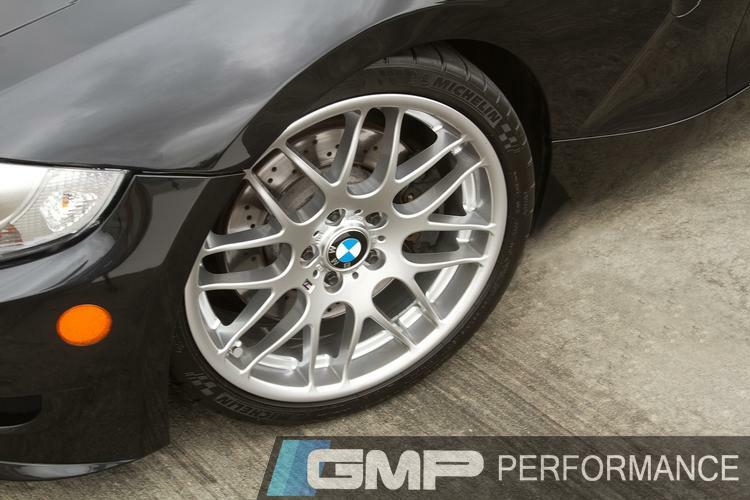 He brought us BMW's own factory M3 CSL wheels to mount and balance on a set of Michelin Super Sport tires. Teamed with the new lower stance from the Bilstein coilovers, it really defines this car: stunning yet unassuming...until it starts to move. 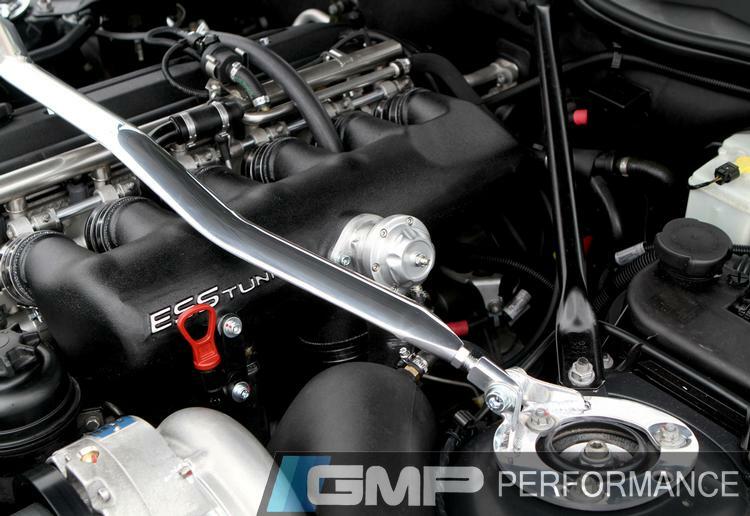 With competition in mind, the Z4 M was also equipped with a strut brace, courtesy of Turner Motorsports. This will be extremely helpful keeping traction when this car tackles even the hardest of corners, be it at the track and even on the street. 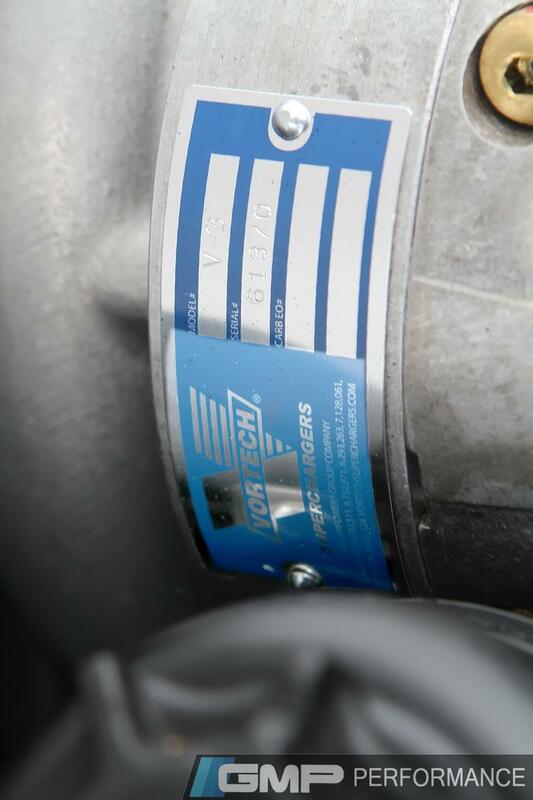 Upgraded power in the engine means upgraded power in the clutch. We chose a lightweight clutch and flywheel combo from UUC that was specifically designed for the Z4 M. Paired with a short shifter kit, also from UUC, these will entirely revamp the way every shift feels in this beast. The interior got a little extra pizzazz as well. Previously wood trim everywhere you looked, it was time for a more sleek and streamlined appearance. The entire dash and center console were removed to be wrapped in carbon fiber, proving once again, that even the smallest of changes can make a big difference. We wanted to be sure this incredible coupe had one last thing: an awesome exhaust to fit the rest of the car. 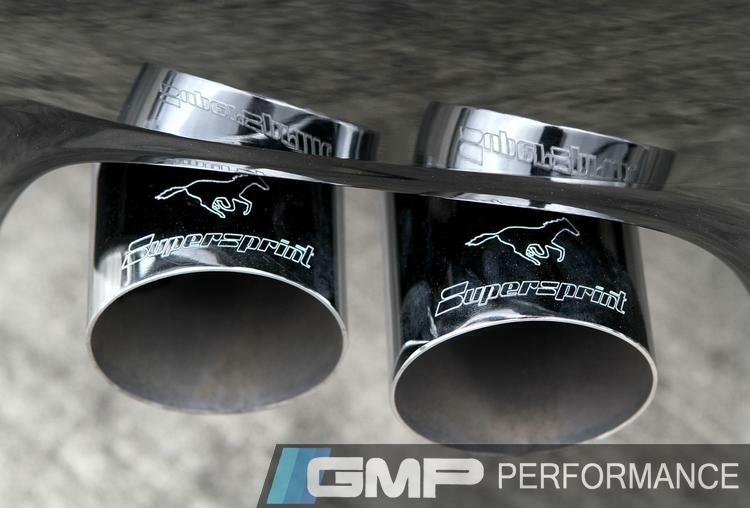 With a race style exhaust system from Supersprint, it now has a sound to match the excellence that radiates from bumper to bumper. Just a little something special to listen to for everyone behind this BMW, watching its tail lights disappear up the road ahead. Some say you can never improve on an M. We say challenge accepted. 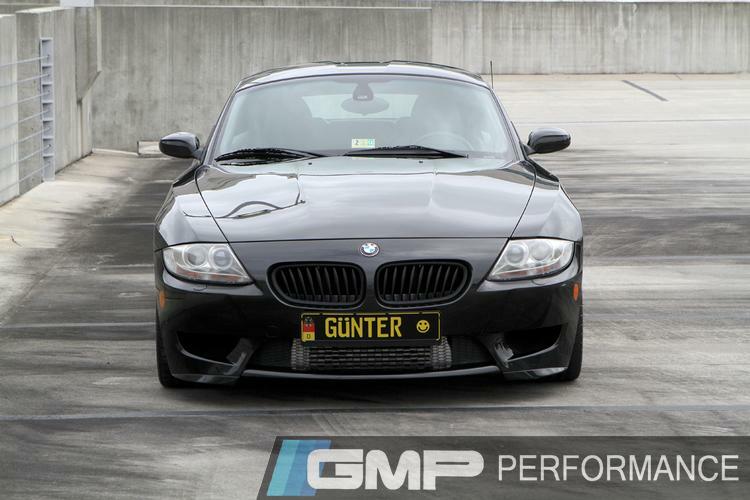 In the case of this BMW Z4 M Coupe, we think the challenge was a success. Significantly faster, smoother ride quality, excellent handling and a sound to draw a crowd, this car has it all and then some. At the track or on the street, it's prepared for it all and will do it with flair as it zooms by. For those interested, we have high resolution images without watermarks. We would love to send them to you if you would like to share them on your social media outlets. Feel free to get in touch with us and we will send them over as soon as possible. 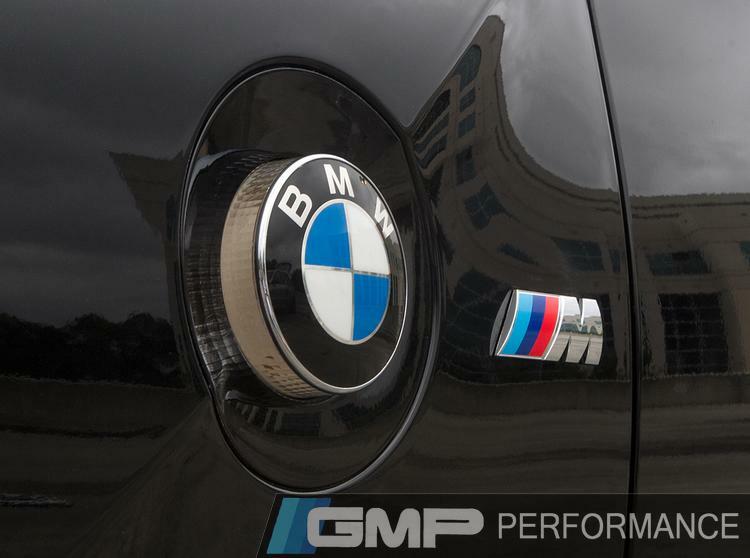 GMP Performance specializes in European automotive enhancements tailoring a client's vehicle to compliment their personality with custom wheel and tire packages, sport suspensions, free-flow exhausts, engine power upgrades and interior appointments. We are the premier facility for the automotive enthusiast with expectations of smooth transitions between the stylishly mild and passionately wild customization. Our unwavering commitment to customer loyalty embodies our philosophies of honesty, integrity and excellence. Founded, and centrally located on the East Coast in Charlotte, NC, we are able to support a large demographic portion of the US population. Established in 1975 as German Motors & Parts, GMP offered performance upgrades for a growing watercooled VW market importing the most recognizable brands from Germany. The product range expanded to support Audi, BMW, Mercedes and Porsche. As a brick and mortar operation, GMP continued to expand its inventory warehousing aerodynamics, suspensions and wheels, offering them to dealers throughout the country. Today, GMP embodies the spirit of automotive enthusiasts and has evolved enhancing the driving experience with German Motoring Products. GMP Performance would like to personally thank each and every manufacturer that helped make this build as great as it is! We couldn't do it without the great companies we work with and the fantastic performance parts they build. Thank you for helping us to make this car the most enjoyable it could possibly be for our customer.